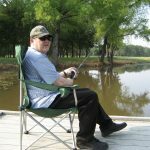 Doug Clough is 55 years old, originally from Atlanta, Georgia and Bethesda, Maryland, and now resides in Gilbert, Arizona. He loves baseball and played from age four all the way to college. Doug was diagnosed with ALS on April 8, 2014. Even though he currently knows there is no cure for ALS, he believes there is hope and promise. Advances are happening every single day, and he works hard to advocate for ALS. He’s gone to Capitol Hill twice to petition in favor of laws concerning ALS. He and his wife, Karen, were selected at NEALS to train as Research Ambassadors. He is also going to a national conference in December for the ALS National Registry to encourage patients to register and have data collected. Doug also speaks to various groups to spread awareness about ALS, and he loves meeting with other people who are also living with ALS. Currently, Doug participates in a clinical drug trial that has him very excited and optimistic about the future of research and the development of treatments and potential cures that are in the pipeline. In the summers of 2016, Doug was asked to read part of Lou Gehrig’s “Luckiest Man Alive” speech at the ALS/MDA night at the Arizona Diamondbacks game. 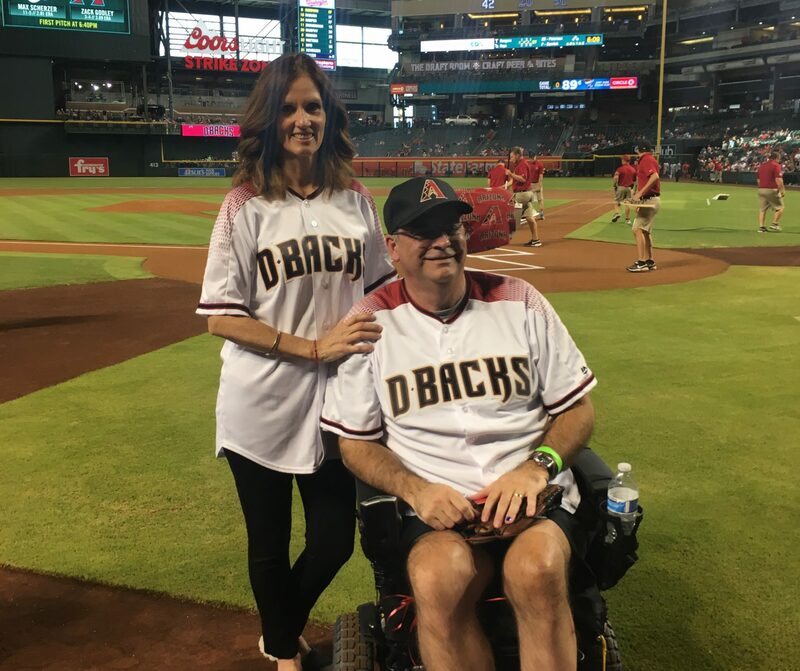 To top things off, he was invited back to throw out the first pitch before the D-backs game this year for the annual ALS Awareness Night. Doug’s most treasured award is the Iron Horse award that was given to him this year for his dedication to work with other ALS patients and their family members. He finds hope and comfort through his faith and is supported by his wonderful wife, three kids, seven grandkids, his mom, his sister, and Karen’s family, friends, and, of course, other ALS fighters and those who work to help them.